Well, the implants in his back are probably made of stainless steel, not gold but all this still costs $5000. She transported Yoshi via courier about 200km to Tasmanian Animal Hospitals at Bellerive, where surgeon Chris Allfree and three assistants undertook the delicate 4.5-hour procedure on the 1kg ferret. 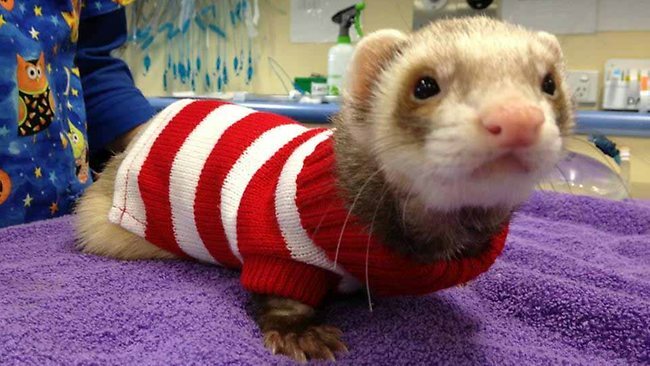 Dr Allfree said it was the first time he, or his colleagues, had operated on a ferret. 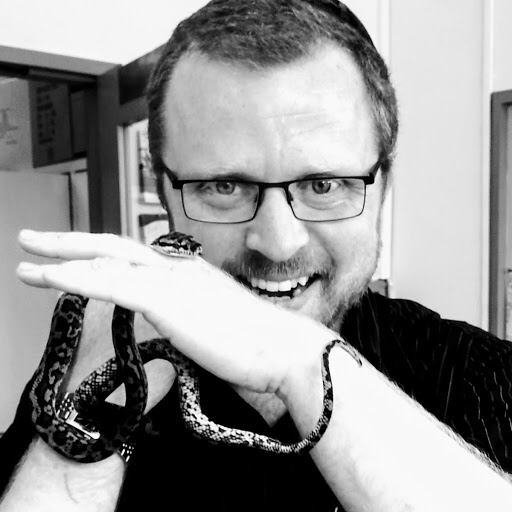 “We do about 10-15 spinal surgeries a year on dogs and the occasional cat, but only one ferret,” he said. I must say I have some reservations about this. Ferrets are very flexible animals and their spines bend in incredible ways. Will this affect the results of the procedure? How much movement and leg control will Yoshi have after recovery? Let’s hope this story has a happy ending but just don’t forget to ask questions when signing up for a surgery as major as this one. I’m happy to announce that Yoshi has taken his first solo steps today and i am confident of a full recovery. The distance between Ulverstone and Hobart is actually closer to 500kms one way. Thank you for your feedback. I would love to hear how Yoshi is going, in particular what his mobility levels is and how well he can move his back legs.